I really missed not playing along last year and as a result had hardly any cards ready in December when I needed them. Not this year - this year when December comes I will be all organised and have a hefty pile of hand made cards ready to give out to friends and family. You could too - the challenge this week is a sketch. Take a look and maybe play along with us. The image is from Serene Silhouettes and I've added some red berries with a marker pen. 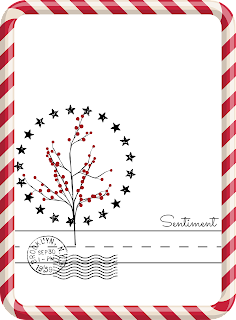 My border is some gold glitter washi tape and I've embellished with a wooden snowflake and some red gems. 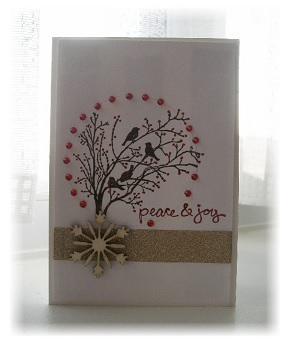 Do pop over to the blog HERE and take a look at all the other cards made by my dt team mates. Absolutely love this card. Those gems really team in with your berries. Great use of the wooden snowflake too.